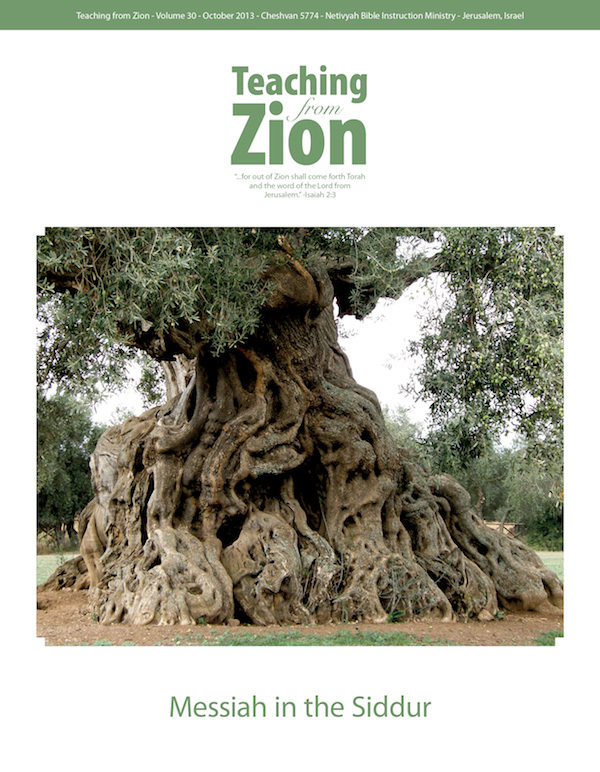 This issue of Teaching from Zion is published in the fall of the year 2013. In the Jewish world, this time of year traditionally marks the beginning of a new year and a renewal of spirit and commitment to God. We ask for forgiveness from our neighbor and from God for the transgressions we have committed and repent and change for the better. One of the aspects of Jewish life that can easily be improved upon is a dedication to prayer. The Siddur is the order of prayer in the Jewish world. It is also the unifying document of the Jewish world. It is used every day. Daily prayer, blessings, special ceremonies, and holidays are all within its covers. Siddur is Jewish life in words. There are a plethora of Siddur with differences mainly based on the part of the world your ancestors are from. Sephardic traditions hold to different forms than Ashkenazi. Chassidim and Reform each have their own Siddur variations. But the one unification of all these groups is the beauty that is found in the commonality of prayer. We all say the Shema. We all say the Amidah. We all recite the same prayers each Shabbat. We all delight in this “order” that structures our conversations with God. The articles in this issue of Teaching from Zion attempt to bring to the surface the hidden messages about the Messiah buried through the centuries. When we dig deep into our literature and pull Yeshua out of the dust, we move one step closer to reuniting Him with His people. This is truly one of our greatest callings as believers in Yeshua as the Messiah of Israel. May God bless this issue of Teaching from Zion and you the reader as you delve into the mysteries of the Siddur. Please pray for our brother Udi Zofef who, because of a serious fight with cancer, is unable to write and work for Teaching from Zion at this time. We pray for healing for Udi and all of our loved ones and friends that are afflicted with this terrible disease.